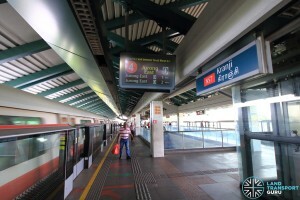 Kranji MRT Station (NS7) is an above-ground station along the North South Line (NSL). It is located within the Turf Club planning subzone (bordering the Kranji subzone), and built next to Woodlands Road. 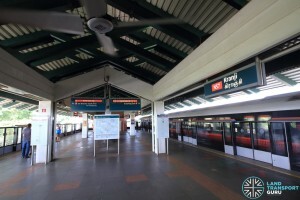 Originally left out of North South Line (Woodlands Extension) plans, the station was eventually built and opened along with other Woodlands Extension stations. Located near Kranji Road and the Kranji Industrial Estate, these areas are named after the local Keranji tree (Velvet tamarind tree). 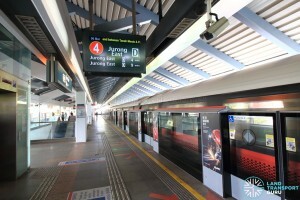 The station also serves the Singapore Turf Club, Woodlands Wafer Fabrication Park and is a transfer node for passengers heading to Johor Bahru via cross-border bus services. 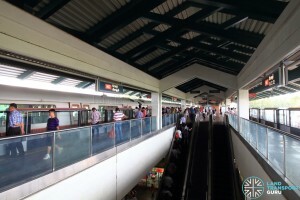 Kranji station has two elevated North South Line platforms in an island platform arrangement. Half-height Platform screen doors are installed at the platform edge for commuters’ safety, and High Volume, Low Speed (HVLS) fans keep passengers cool. Similar in design to many other North-South Line elevated stations, a double pitched roof shelters the platform level, supported by two rows of columns. A set of escalators, stairs and lifts connect to the concourse level below. 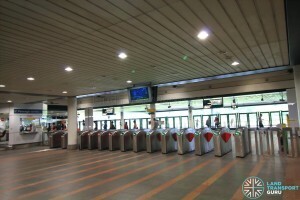 A TransitLink ticket office is also located at this station, operating between 12:30pm and 7:30pm on Fridays, Saturdays and Sundays, if there are no races at the Singapore Turf Club. Opening hours will be extended to 8:00pm on Turf Club Normal Race Days, and 10:30pm on Turf Club Night Race Days. It will not open on Mon-Thurs, and Public Holidays (if there are no races). The ticket concourse is designed to cope with large numbers of Turf Cub visitors entering/exiting the station at one time, with large numbers of faregates and station exit gates. 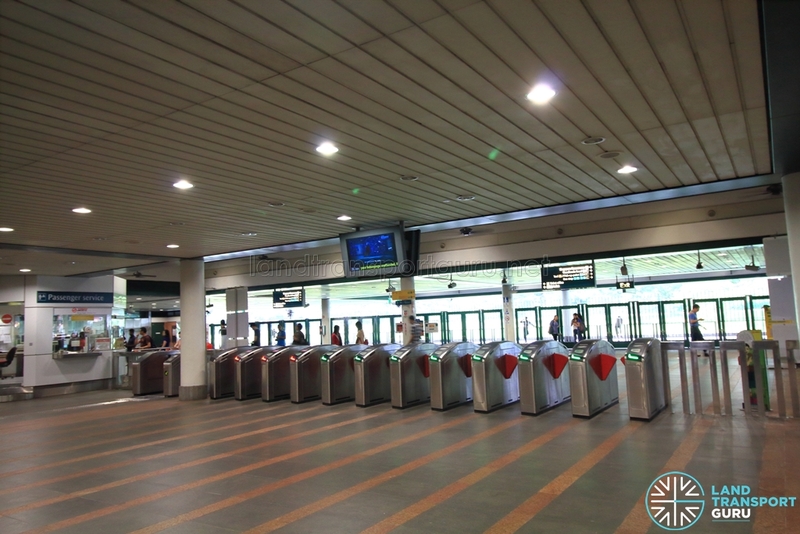 Kranji MRT station has four exits at ground level (A, B, C and D), of which only Exit A and C offer barrier-free accessibility for the disabled. Operating Hours: 12:30pm to 7:30pm on Fridays, Saturdays and Sundays, if there are no races at the Singapore Turf Club. Extended to close at 8:00pm on Normal Race Days, and 10:30pm on Night Race Days. 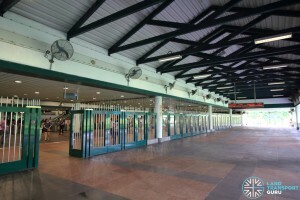 Kranji station connects to several bus stops in the vicinity, as well as a taxi stands and passenger pick-up point. There are two official bus stops linked to Kranji station. 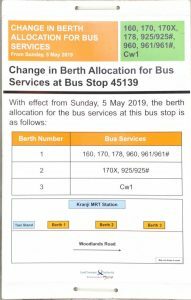 At Bus Stop 45139 – Kranji Stn, Woodlands Road, Bus Services call at 3 different berths. 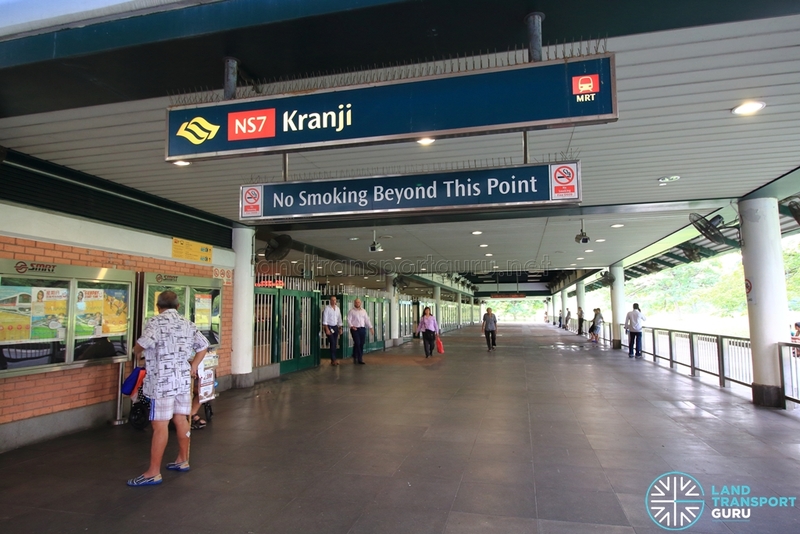 In addition, passengers can board regular bus services at bus stops officially linked to Kranji station depending on the situation on the ground. 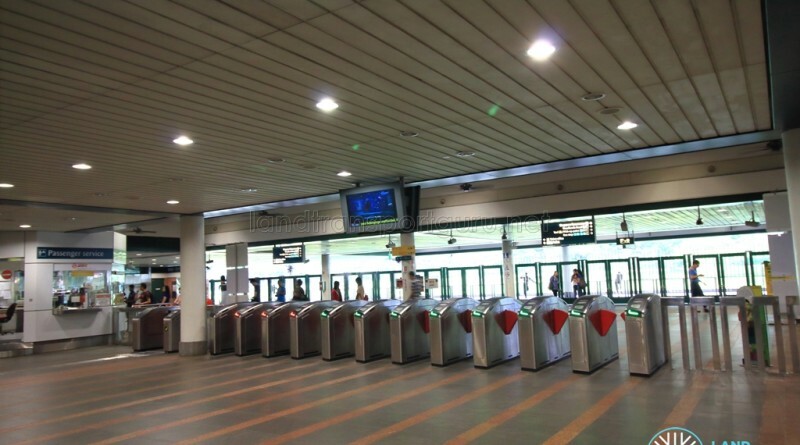 This station receives plenty of demand from commuters connecting to bus services towards Johor Bahru as well as visitors to the Singapore Turf Club on race days.